Packaging:Inner-plastic bag,Outside-carton,Then put on a pallet. 2.Use it inside of cable for wrapping and insulation. Good insulativity and shielding effectiveness to reduce return loss, complying with RoHS standard. 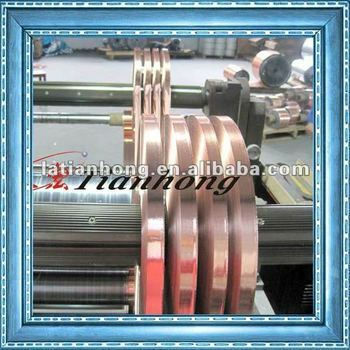 This foil is widely used in coaxial cable, local area network cables, and as shielding layer of many other cables. 1.Inner-plastic bag,Outside-carton,Then put on a pallet.